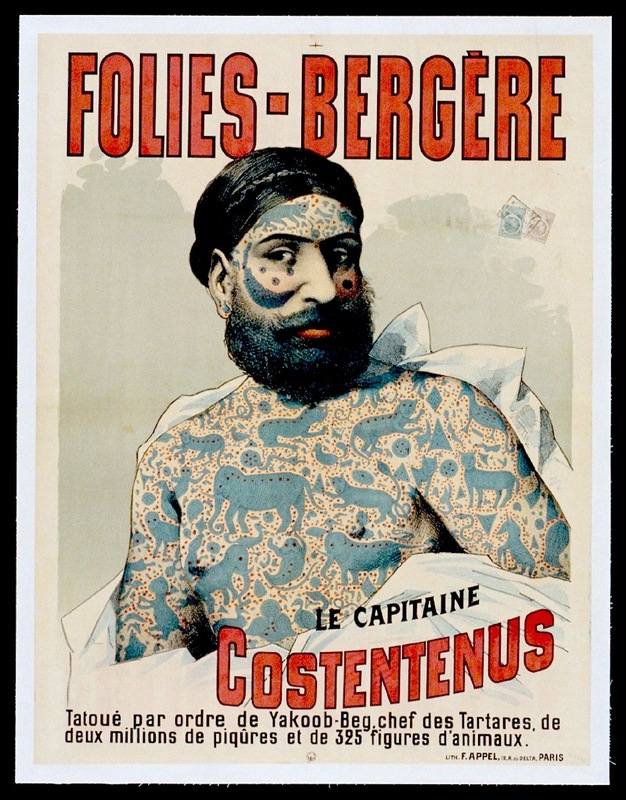 Poster for a sideshow type act at the Folies-Bergère, circa 1880s. Recently I was at the ethnographic Musée du quai Branly in Paris. A post about some of the museum’s permanent collection of lovely, demented and/or terrifying masks will follow shortly, but the museum also currently have an exhibition on (until the middle of October 2014) called Tatoueurs, Tatoués (Tattooers, Tattooed) which is worth seeing if only to be reminded that there can be more to tattoos than spelling error tramp stamps, nonsense kanji, the ubiquitous badly drawn pseudo-tribal sleeve, and permanent disfigurements that are just plain wrong.